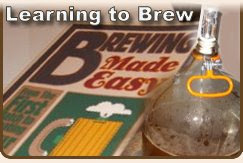 Home Brew Beer: Sam Adams: Patriot & Failed Brewer? Sam Adams: Patriot & Failed Brewer? "I beat you fair and square, now you owe me beer!" I love history, especially American history. I discovered a series on the History channel call "The Revolution" which chronicled the American revolution with reenactments and considerable detail. Good stuff, but some have questioned the accuracy of the series! There was some mention of Washington's requests for supplies for his troops, including beer. That struck me as funny, as I tried to imagine my own modern day leadership sending desperate please to Congress for beer. Keep in mind, beer was often a safe alternative to water back in the day, not just something for a Friday night. "George Washington, a noted brewer and first President of the United States, had more than the British to battle during America’s war for independence. Upon enlisting, Washington had promised each of his soldiers a quart of beer as a part of their daily rations. As war progressed and supplies diminished, The Continental Congress threatened to eliminate the beer rations. Well, old George would have no part of that and argued to maintain the full beer rations. And we all know the final outcome of that war…"
I'm not sure, but I think this may very well be a direct parody of the series, "Drunk History". "By God, these men need beer!" 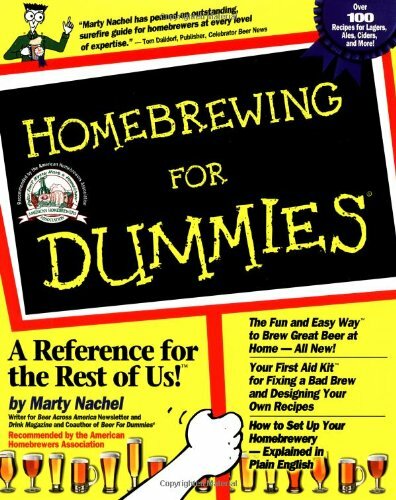 My love for this period in American history resurfaced this past Independence Day, and I wondered how I could mesh this interest with my enjoyment of craft beer and home brewing. So, I read up on Washington's own love for beer and brewing. I would love to brew up a beer from his own recipe some day. It's a shame his porter recipe is not available. 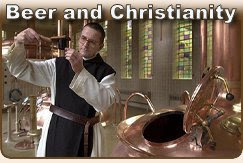 Check out this History Channel clip on the history of American brewing. Sam Adams is often referred to as "Brewer and Patriot" by the Boston Beer Company. Despite the fact that Sam was a detractor of George Washington, he certainly was a patriot, he even signed the Declaration of Independence. But what brewing did Sam Adams actually do? 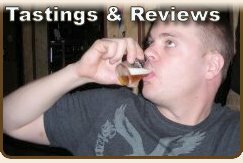 From the little I could find online about Sam Adams' brewing experience, it doesn't seem to be anything that exciting. Sam inherited his father's brewery, and then ran it into the ground. "In spite of his lack of success at business (failing as a brewer and tax collector and wasting an inheritance), Adams displayed true genius in politics." Sam Adams was, "an unsuccessful brewer, and a poor businessman." Now that's ironic, Sam Adams, the name sake for the Boston Beer Company's vast array of beers, was a flop at brewing and at business. I wonder if that was ever brought up to the company's investors. Good thing the company was built around Jim Koch's family recipe, and not the Adams family recipe. At any rate, while grocery shopping earlier this month, I stumbled upon the Sam Adams Summer Styles case. The grocery stores in my area either do not carry beer, or only carry a limited variety. This 12 pack was on sale, and I had American history and Sam Adams on the brain. As they say, the rest is history! So, in the interest of American history, and tasty beer, I will drink all 12 of these babies over the next week or two and review each one. It's the least I could do for one of our founding fathers. Independence Day - IPA Slushy!